His baseball abilities are another matter. Still, Jason Freier, the owner of the Fireflies, said the team had been hoping for months — ever since the Mets signed Tebow last September on what almost seemed to be a whim — that he would be assigned to Columbia. In the end, Freier got his wish. 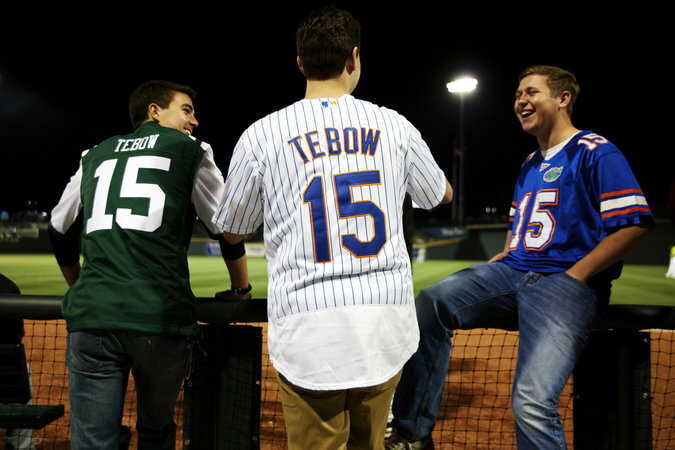 Actually, Columbia was a logical place for Tebow, 29, to begin his professional baseball career. The South Atlantic League is a fairly low rung on the minor league ladder, making it a less challenging environment for an athlete who had been away from the sport for 12 years. But even if it made perfect sense for Tebow to start here, the Fireflies took nothing for granted. Over the past few months, they have been in constant communication with the Mets — in part at the urging of Benjamin, who said he pestered the Fireflies’ team president, John Katz, nonstop to prod the Mets. Freier said even fellow owners around the league were asking when the decision would be made official. They, too, were eager to start marketing their Tebow ticket packages for the dates when the Fireflies would visit their towns.